Two American athletes named Simone struck Olympic gold in Rio on Thursday, one who was “super surprised” at her historic win. Simone Manuel, 20, became the first black woman to win an individual swimming event, sharing her Olympic gold victory with Penny Oleksiak of Canada in the women’s 100-meter freestyle. Both swimmers touched the wall at 52.70 seconds, an Olympic record. Manuel cried during the medal presentation. As the Washington Post pointed out, Manuel and her teammate Lia Neal were the first time two black athletes on the U.S. women’s swim team at the Olympic Games. “The title of ‘black swimmer’ suggests that I am not supposed to win golds or break records, but that’s not true because I train hard and want to win just like everyone else,” she said. 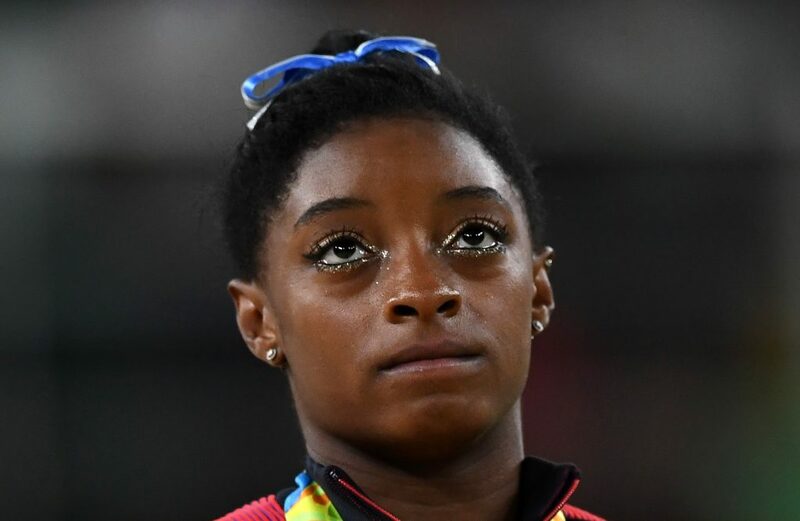 Simone Biles, too, teared up Thursday night after being honored as the world’s best gymnast. Fresh off Tuesday’s team win in women’s gymnastics, the American gymnast claimed another gold medal in the women’s individual all-around. The 19-year-old athlete joined an elite group of American all-around winners comprised of Mary Lou Retton, Carly Patterson, Nastia Liukin and Gabby Douglas. The competition ended with the floor routine, her signature event, in which she executed her signature move (a double layout with a half-twist and a blind landing), now officially known as “the Biles.” (The New York Times breaks it down into slow-motion.) She scored 15.933, the highest markings of the night at any rotation, The New York Times reported. In the end, Biles scored 2.1 points over the silver medalist, teammate Aly Raisman, who also gave an impressive performance. Russia’s Aliya Mustafina took bronze. American basketball champion LeBron James posted an Instagram photo, congratulating the Simones. Katie Ledecky’s name is now synonymous with historic milestones. She has broken world records, including her own. During the 800m freestyle heat on Thursday, the 19-year-old American swimmer set an Olympic record. 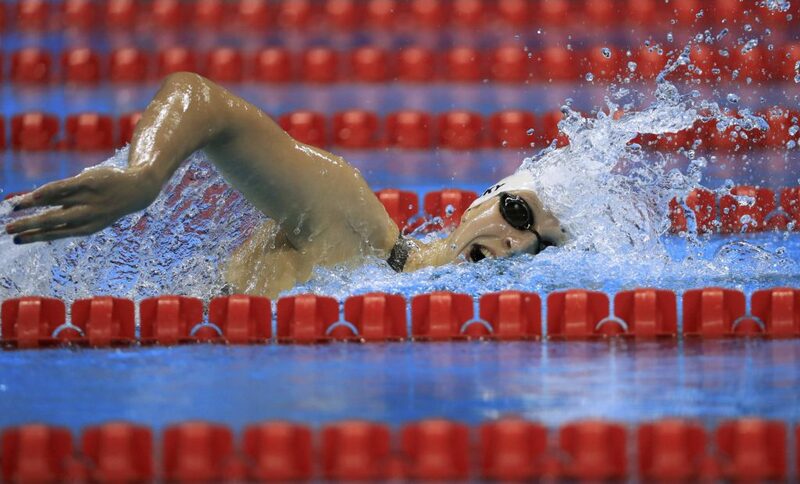 Ledecky clocked in at 8:12.86, finishing nearly seven seconds ahead of Hungary’s Boglarka Kapas. If Ledecky wins the 800-meter freestyle final on Friday, she will be the first female Olympian to win three individual freestyle gold medals at an Olympic Games since Debbie Meyer in 1968, the Times reported. American swimmer Michael Phelps won his 22nd gold medal Thursday in the 200-meter individual medley, his fourth time coming first in the event at consecutive Olympic Games. That means he beat a 2,000-year-old Olympic record. 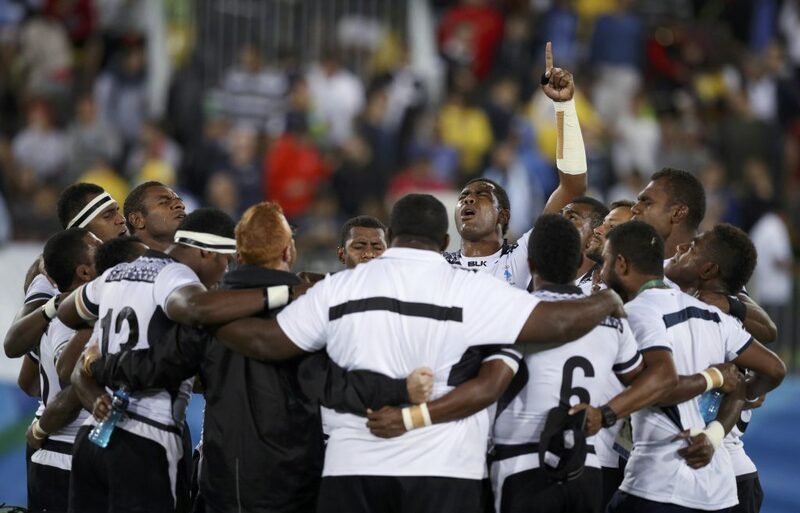 Fiji beat Great Britain in the men’s rugby sevens competition Thursday, earning the island nation’s first-ever Olympic medal. Fiji Prime Minister Frank Bainimarama announced a public holiday after the historic win, Reuters reported. American judoka Kayla Harrison won her second Olympic gold medal. Shortly after her win, Harrison announced her retirement, the Post reported. According to Outsports, there are a record 49 Olympians who openly identify as lesbian, gay, transgender, bisexual or intersex at the games this year. The Daily Beast apologized for an article where a straight, white reporter used the gay dating app Grindr to scout for gay Olympians. NBC views the Olympic Games as entertainment, not as sports, Vox’s Todd VanDerWerff argued.